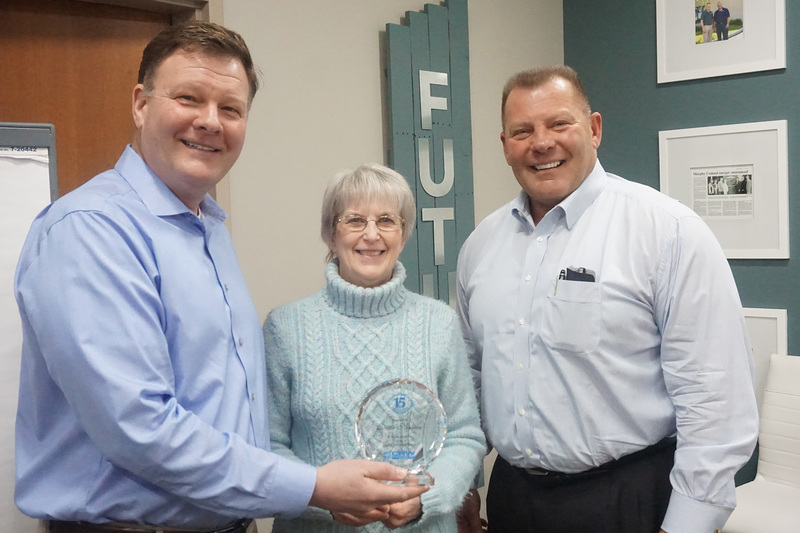 CRW Insurance & Financial Services of New Holstein is proud to honor three employees for their years of service. 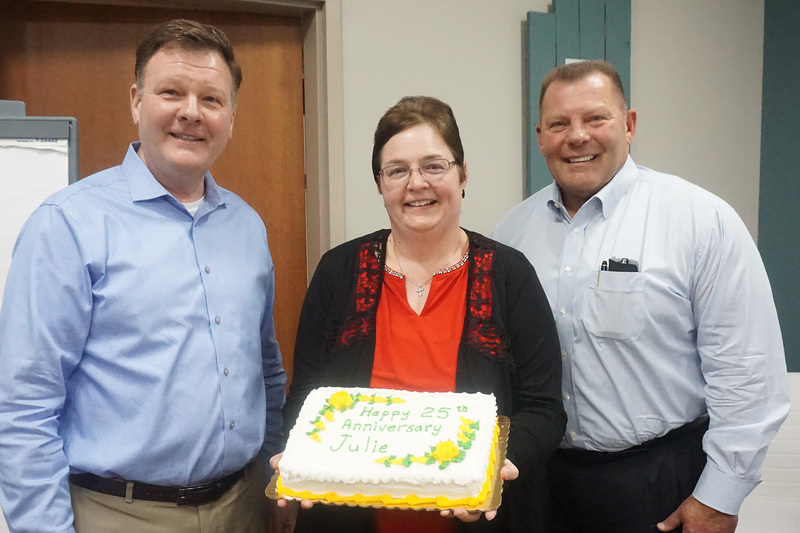 Recently recognized at an Agency-wide meeting for reaching special milestones were Julie Leon who is celebrating 25 years, Kelly Groeschl for 16 years, and Dottie Ninmer for 15 years. Julie handles the Customer Service for our Commercial Insurance department, including the quoting process for commercial accounts. She also excels at workers compensation experience modification rating reviews. 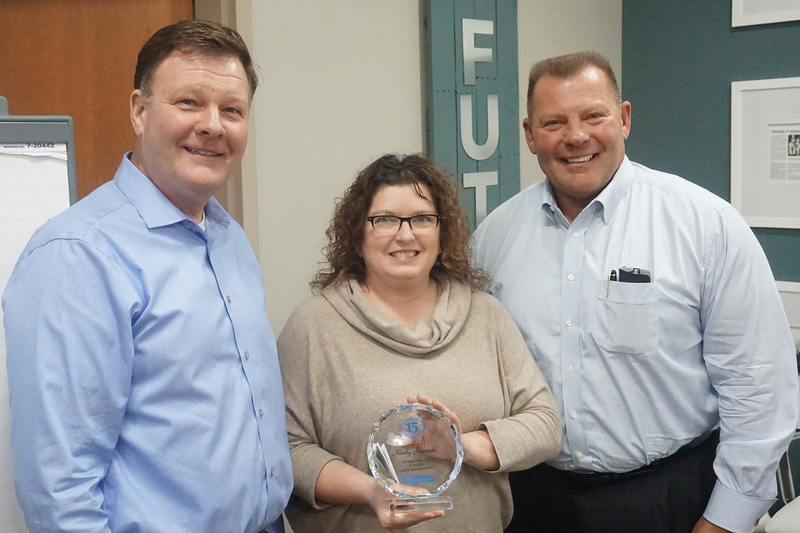 Kelly handles Customer Service for our Personal Insurance department by assisting customers with policy changes or questions and reviewing policy renewals. Dottie, as a Director of First Impressions, is one of the helpful voices greeting those who call or visit the CRW office. “We are incredibly grateful for each of these three ladies. Their level of service and commitment are top-notch,” says CRW owner Scott Wink.